There are 62 companies listed in our Web Design category for Omaha. This page shows listings 1 to 20. 15+ years of experience in the development, marketing, management and sales of commercial real estate. 10+ years of experience in online marketing of commercial and residential real estate including in the development of online marketing platforms aimed at individual projects as well as platforms aimed at city, state, regional, national and international markets. Specialties: Branding & Establishing Market Position, Operational Efficiency, Internet Marketing, Search Engine Management (SEM), Search Engine Optimization (SEO), Business Development, Website Development, Local Listing Management, Reputation Monitoring, Social Media Marketing. Hello! My name is Bill Hipsher and I am one of the founders of B² Interactive here in Omaha, NE. After 20 years of business experiences and 15 years specifically spent in the web design and internet marketing arenas my full bio ends up being far more than the casual visitor wishes to read. So let me share with you the condensed version. I attended the University of Nebraska at Omaha – many of us here at b² Interactive are UNO Mavericks. I thought I wanted to be an architect but during my first year switched over to Real Estate and Land Use Economics. I was bitten by the business bug and realized I also had an entrepreneurial hunger I needed to feed. I also have always been drawn to technology, which helped fuel some of my early real estate successes. My first computer experience was the Macintosh computer in the school library in the 3rd grade. Had first computer programming class in middle school and designed what I thought at the time was a really cool baseball stadium flashing graphic. Built my first website in the late 90’s. Built several more. Built my first web company in the early 2000’s and sold it after early success because I didn’t have access to the capital necessary to take the site to the next level. Plus the first tech bubble had just burst. Felt lucky to walk away with some cash in my pocket. I would circle back around to and work with that company again 7 years later. Have worked in every aspect of commercial real estate and real estate development. Projects include multi-family, retail, industrial, restaurant and hospitality. Development has included both private development and public-private development ventures. Last year I had the opportunity to open B² Interactive with my good friend Brandon Taylor. Brandon and I had been working on the same national website project for the prior 5 years and realized very quickly we shared similar visions while complementing each other’s skill sets very well. Neither Brandon nor I would be doing what we are doing right now without the other. We are both nerds but in different arenas. He nerds out over code. I nerd out over sales, marketing, social media and data. I’ve never felt more confident in something I am building as I am in b² Interactive. We have a great team and plenty of experience to go around. Brandon and I have been in the industry since its infancy and the core group at b² Interactive has more than 50 years’ experience. I lead the internet marketing group. We have invested many, many hours into the development of a local search engine marketing service that is second to none. Our internet marketing team has a goal of giving every client the best opportunity to be found on page one of the search engines by the customers they are looking to bring to their website. My wife and I live in Millard and have 3 kids ages 10-14. We also have another one on the way and will add a new baby girl to our family in July 2013. We have 2 dogs that are going to be the most jealous in the house when the new baby arrives. We have 2 cats – one thinks he is a dog, the other knows she is a cat and acts like it. We are blessed to be surrounded by great family and friends here in Omaha. My wife is a Kansas transplant who holds on to her K-State allegiances but we are working on turning her into a Husker fan like the rest of the household, slowly but surely. 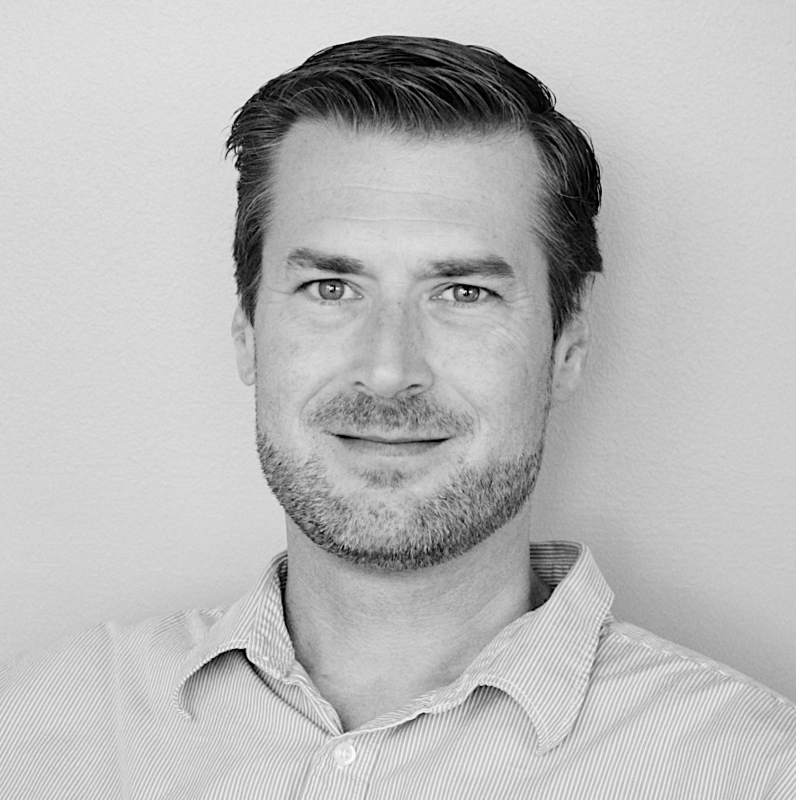 Brandon Taylor is responsible for the website design and development at B2 Interactive in Omaha. 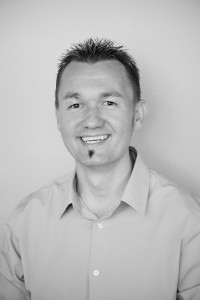 Brandon has more than 15 years experience in custom website and software development experience. Custom website design and development services. B2 Interactive makes websites sure to wow your visitors. We design websites to your specifications with a mind towards the future and the features you need to make your website a success. Custom web design and basic fully customizable templates offered by B2 Interactive are sure to meet the needs of every customer. Whether your company or organization is just starting out, are established or are an enterprise level organization the B2 Interactive team has the experience to design the website you are looking for. Whether you are just starting out or looking to take your existing website to the next level B2 Interactive has the experience to make your website work. Your website must tell a story, engage with your customers and sell your company or organization's products or services. B2 Interactive's website development team knows what it takes from combined decades of experience with sites from small to enterprise level. B2 Interactive will help you develop a website strategy to meet your company or organization's needs. After a website development strategy is completed we commence with the building of your website. Your website can be a simple turnkey website that you take over and maintain upon completion or a more complex site that we continue to update and improve as your business or organization grows. We build custom content management systems to make the day to day maintenance and upkeep of your website simple and easy for you to maintain yourself. Most importantly your website is developed in such a way that it is ready to work for you. Your website should drive visitors to your company or organization. It should be a took that helps your visitors and your company. If you have products or services to sell, your website should convert at the highest possible rate. B2 Interactive develops websites that meets all these needs. B2 Interactive in Omaha offers website and e-mail hosting solutions with all the tools you need to keep your website up and running. B2 Interactive in Omaha, NE offers Search Engine Management (SEM) services to businesses and organizations looking to drive the most visitors to their website at the lowest cost. Search Engine Management for your business or organization by B2 Interactive includes Search Engine Optimization (SEO), Local Listing Management and Paid Search Engine Advertising Management. The three of these services working together provides our clients with the most traffic to their website at the lowest price. Use of B2 Interactive's SEM services will help your business realize the highest ROI on your internet marketing dollars. B2 Interactive will help your site move its way up the major search engine’s search results to bring your site the visitors you are looking for. SEO and SEM services from b2i include on-site and off-site improvements that will help you be found online more often. In addition there are scores of on-site off-site factors that you must look at in making sure your site is found naturally. From site design and through every step of the online marketing process we have SEO on our minds and make sure your website and online marketing efforts are fully optimizing SEO best practices. The search engines certainly have made it easy for every website to start advertising their website through paid search advertising – often called PPC. You could have a paid advertising campaign up and running in a matter of minutes but are you seeing a positive return on the dollars you are spending here? b2i will help you not only set-up a campaign but also make sure you are seeing a positive ROI for the advertising dollars spent on PPC. We will also make sure your ads are found. Simply creating a campaign and an ad then bidding more than anyone else doesn't necessarily mean your ad will be found at the top or where you want to be found. B2 Interactive helps you develop a PPC campaign that gets your ads found where you want to be found on a consistent basis. B2 Interactive also can help you develop remarketing/retargeting campaigns in your PPC marketing campaigns. Hopefully you would never jump behind the wheel of your car and drive blindfolded. Don’t do the equivalent with your website and online marketing efforts. B2 Interactive's expert team can look deep into the inner workings of your website, the sources that provide you with website traffic and the visitor behavior on your website to tell you exactly what is happening and identify areas of optimization. Years of experience have given our team the ability to provide you with comprehensive reporting that shows how your website is performing and how it can be improved. We provide you with this data and recommendations in a way you can understand and act upon. Decision making is easy with the right information – we make sure you have the right information along with our recommendations for where to go next with your website and other online marketing efforts. As social media becomes a part of everyday life it becomes more and more important to an overall search engine marketing plan. Social media marketing for your Omaha business not only helps you reach your target audience through mediums they use on a regular basis but it also can play a part in SEO for your website.